Install a dependable roof to protect you from storms. Fortify your home with elegant, flexible siding. View the world through clear, energy-efficient windows. See the glowing reviews our satisfied clients have left us. Advocate Contracting & Restoration Services, Inc. is dedicated to keeping you safe and your home structurally sound. Since 2013, we've been sprucing up homes in Illinois and Wisconsin. We rely on over 40 years of industry experience to complete our projects. Whether you need your roof replaced, your siding repaired, or new windows installed, you can count on us to restore your home. Speak with a roofing and siding contractor in Lake Geneva & Fontana-on-Geneva Lake, WI about your job. Call 847-269-3465 now to schedule your project. We specialize in storm damage repairs, too. We give you financing options. Once you fill out the application through Trade Point Lending, you'll receive loan options from five different companies. Rates start as slow as 4.9% with good credit. We have a varied skill set. We work on roofs, siding, windows, gutters and downspouts. Our clients leave us positive ratings. 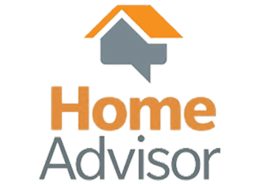 Our customers have raved about our services on Google and HomeAdvisor. We offer damage claims assistance. We'll work with your insurance provider so you can avoid out-of-pocket expenses. Advocate Contracting & Restoration Services Inc.